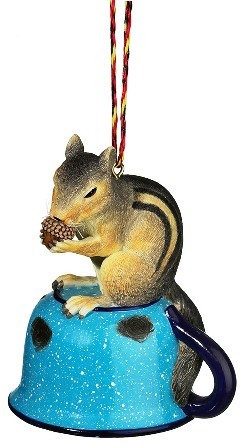 View cart “Chipmunk and Cup Decoration” has been added to your cart. With the help of a few friends, Old St. Nick will get the job done. A wonderful reminder of the outdoor spirit, this Canoe Santa Ornament brings a casual yet tasteful look to your holiday décor. This classic piece is sure to become one of your all-time favorites.